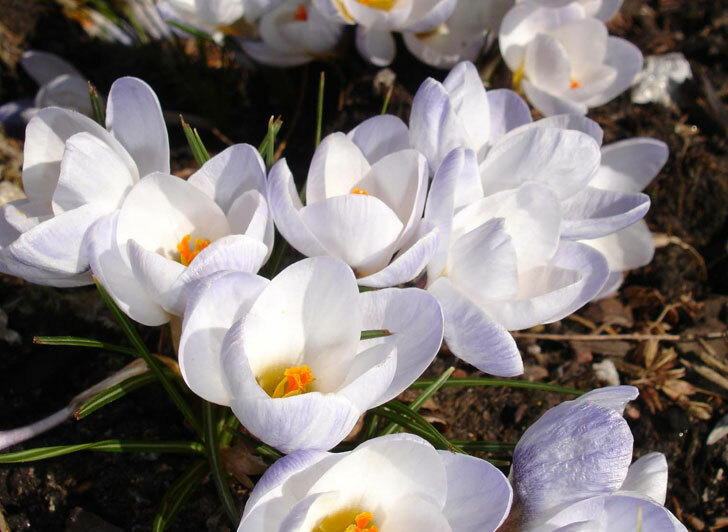 Cancer researchers in the UK have discovered a way to turn colchicine from the crocus flower into a new treatment that acts like a smart bomb to target cancerous tumors. Colchicine is naturally toxic to the human body, but it is also well-known for its anti-inflammatory and anti-cancer properties. The team of researchers created a delivery system that allows the chemical to travel through the body with its toxic properties switched off. Once it arrives at the cancer site, an enzyme in the tumor naturally reactivates the colchicine. The chemical then goes to work cutting off blood supply to the tumor in order to starve it. The research team involved with the study is based out of the Institute for Cancer Therapeutics at the University of Bradford in the UK. The researchers set out to find a way to use the healing properties of the crocus without unnecessarily harming the patient being treated. In research with mice, the scientists discovered that 100% of the subjects reacted to the treatment, and in half of the cases the animals appeared to be cured of their cancer. The treatment is effective only on cancers that cause tumors — so far they’ve treated breast, colon, lung, prostate and sarcoma tumors successfully — because it actually works to cut off the blood supply to the tumor by killing the veins and arteries that feed it. At this time no side effects have been noted in the mice being treated and a clinical trial is expected to begin in about 18 months. How long before big Pharmaceutical companies either wipe this out or kill everybody involved, like they have quietened others who discovered cures for cancer.